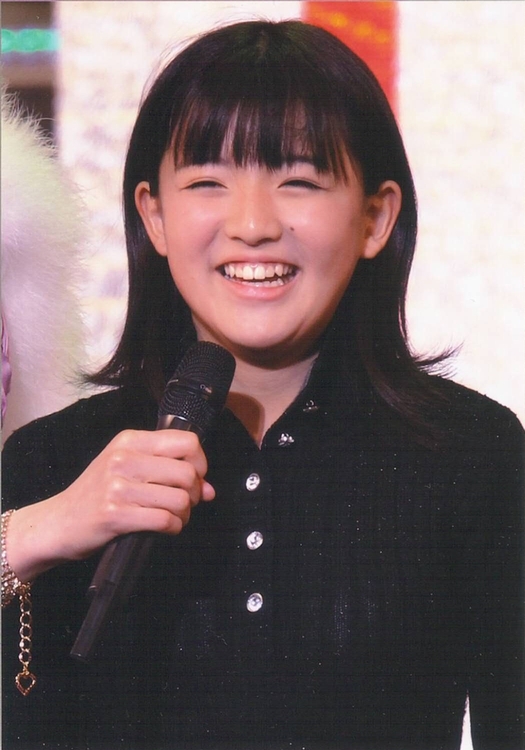 This is the thread for the cute, gutsy, smiley girl of the 9th gen, Suzuki Kanon! I can tell she's going to be big already! Seriously watching her smile makes me smile too So genuine with a sparkle in her eye! [22:43] <+J-Triumf> she looks like Mano/Sayu/etc. Resemblances/coincidences aside, she's cute and looks willing and able to conquer her shortcomings. Definitely one to watch out for in the future. Awesome, Kanon was my second favorite out of the finalists. She's gonna be a ton of fun, I bet! Loved how she was auditioning with a sketch while everyone else was singing and dancing. When she's nervous, she seems to pinch her lips between the backs of her fingers. Cute little habit that can be seen in the video I posted above when she's with the vocal teacher. Also, she needs some work fully extending her limbs when she dances. I think that's what's causing most of the slightly awkward look she has in the dancing parts. Kinda similar to the problems Koharu had at the beginning when she couldn't quite relax her limbs enough. I like her. She's the only 9th gen (so far as we know) who wasn't in showbiz before joining Morning Musume, so she'll have much more ground to cover than the others. But I hope she turns the pressure into motivation and shines as bright as she can. She's also (remarkably) one of the only H!Pers ever to come from Aichi (Nagoya), one of the most populous regions in Japan. Lately I'm loving another dreamy Nagoya-lady *ahem*, so this makes me a little happy. She could just as easily gone to SKE, but she picked Morning Musume (or so I'd like to think). Having studied abroad at a university in Nagoya, I feel a connection with Aichi also as kind of my Japanese "furusato". Therefore I was also excited to see SuzuKan, as I've tentatively started calling her to avoid confusion, was the first MM member from Aichi. I hope she brings some good Nagoya-ben and tebasaki with her to the group!! Is it weird that I can't help but think that she sort of looks like a younger version of Airi? The fact that they've got the same last name sure didn't help matters. I think I'm gonna take to calling her "Zucchini" now. Not sure if it'll catch on or if I'll personally keep doing it, but for the time being that's my proposal to lessen confusion between her and established H!P girls. The rest of the blog entires are in my original post. I've only seen her for a short while though. which is why I thought that. Oh, I've gotten a little off-topic. 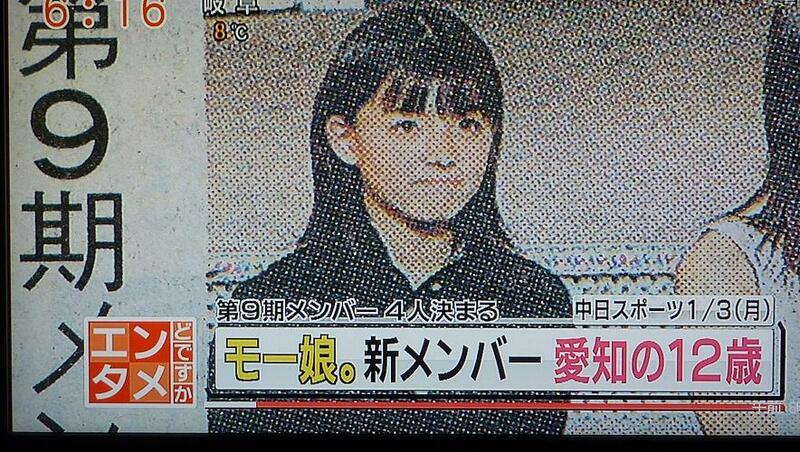 I don't know about anybody else, but she really reminds me of Rika (young version). Every time I see Kanon, in my mind I go "She got that Rika Ishikawa swag." Aside from myself, there was that one 2ch comment calling her a "new Rika Ishikawa"
I knew there was a reason that Zukki's my favorite if she's reminding everyone of Rika. And while no one can replace Rika, I'm hoping Zukki can bring some similar energy to MM. This has straight up made me really like her. "Michishige-san! There's something I want to give you, so could I come to your dressing room later?" "Yeah, that'd be alright. Come on over to the dressing room later." And this is what she gave me! she said, so all the members ate. This recent blog pic is my fave pic of her so far. I think she looks great smiling with her eyes wide open for once. And then some unofficial pics from the concerts. Daww... what a cutie. Man, she's got a wickedly infectious "eye-smile", doesn't she? 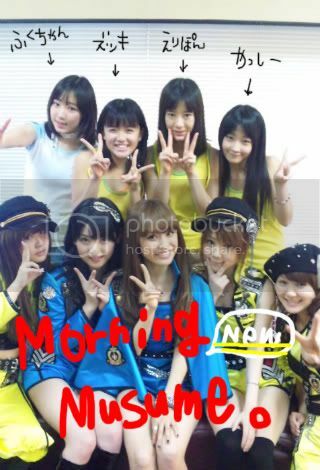 Another cute pic from Sayu's blog, pimping that very article!